A very early photo at Wards in Grays. The PARITA. I have no more details. Can anyone help. Photo in about 1962. 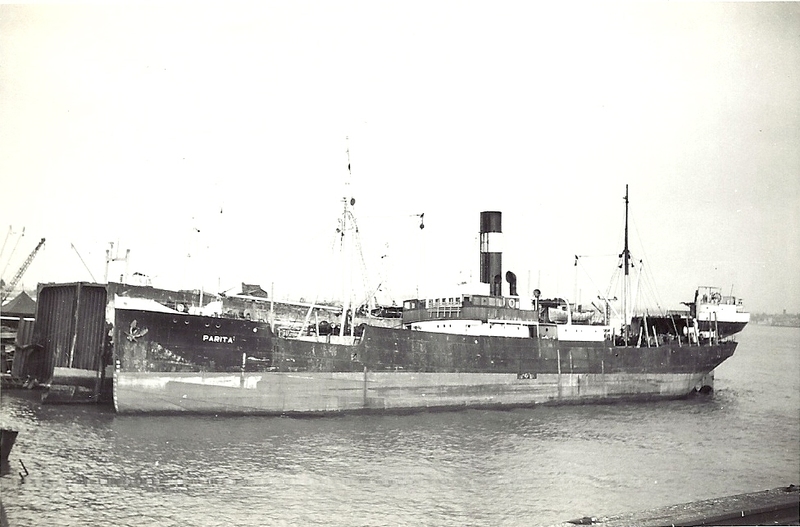 PARITA, which was Panamanian-flagged, was built at Aalborg, Denmark, in 1920 and of 1259 tons gross. She arrived at Ward’s yard on 1 April 1964. The cut down hull behind her is that of another Panamanian vessel, the AGUANTE (built 1926; 5653 tons gross), which had arrived at the yard on 16 March 1964. I took a similar photo at the beginning of 1965, when on the left-hand side at the “shed berth” was the remains of the old BP tanker BRITISH DIPLOMAT.